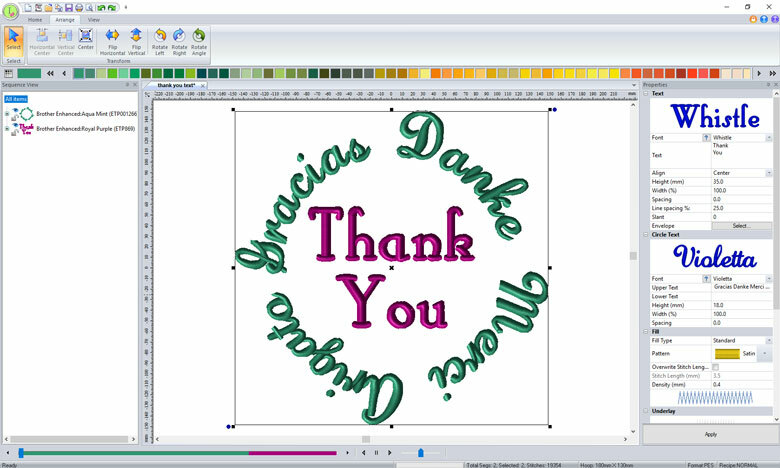 Design Custom Lettering & Monogramming in Minutes with Initial Stitch Software! 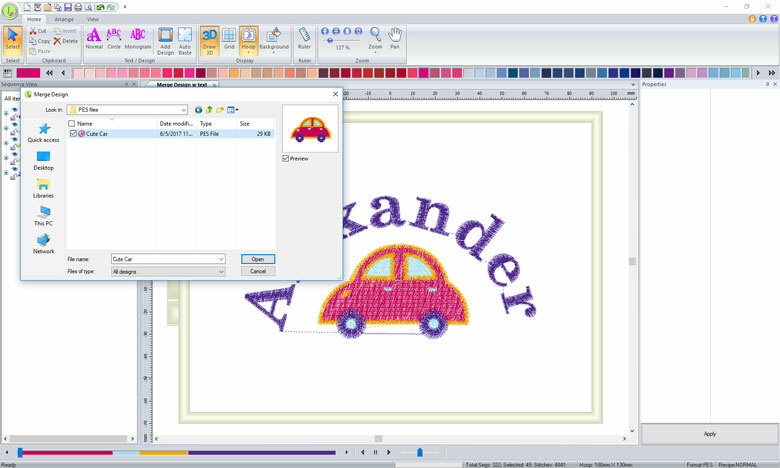 Even if you’ve never used embroidery software before, Initial Stitch software is easy to learn and is compatible with most brands of embroidery machines. Enter your email address to receive the latest news, tips and tricks from our educators, designs and projects, plus special offers on your favorite sewing and embroidery products. Complete and submit the form below to download the free trial. By entering your email address you agree to recieve news and product information from Brother International Corporation. Enjoy 25 beautifully digitized fonts that include a small 5mm font plus larger fonts for monograms and almost everything in between! 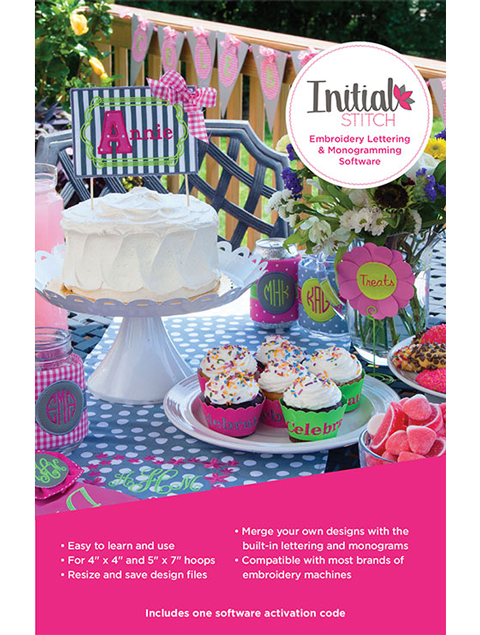 Choose from whimsical styles, script letters or traditional block styles to create your personalized designs. PLUS Décor and Modern Angles fonts include built-in monogram embellishment options. 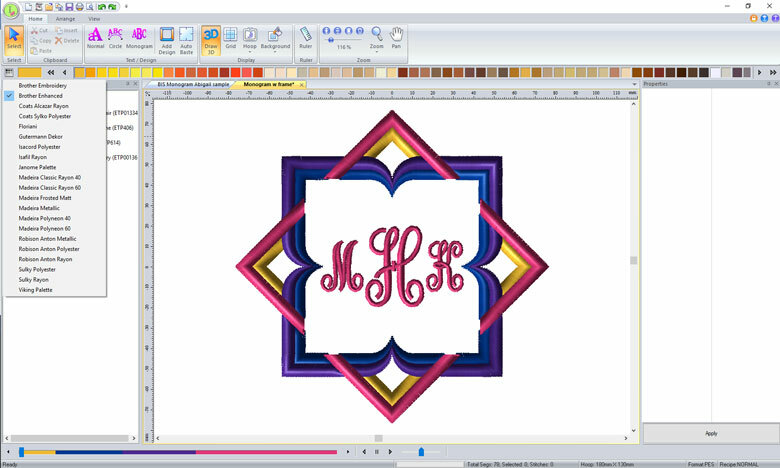 Add decorative frames to your lettering or monograms. Resize your designs to suit your project in either a 4” x 4” or 5” x 7” hoop size. 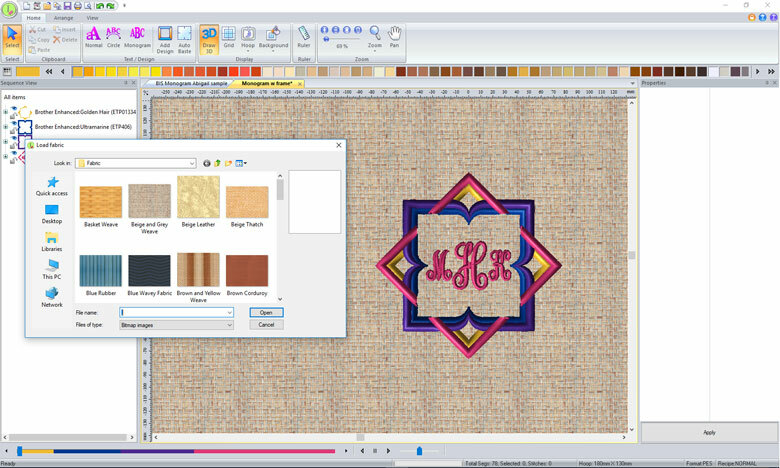 Merge your own designs from a variety of embroidery design file formats with the built-in lettering & monogram designs. Flip designs horizontally & vertically; center designs horizontally & vertically. Align text in multiple lines or on a circle path. 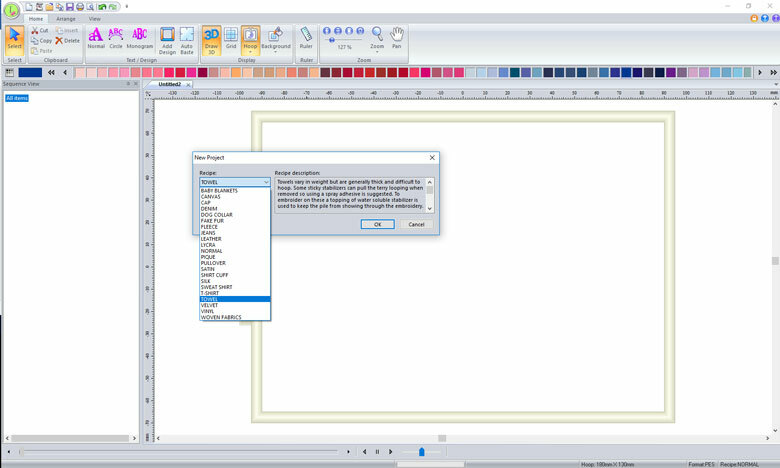 Choose from 11 Text Envelopes to reshape the built-in text into concave, convex, pennant and rectangle shapes. 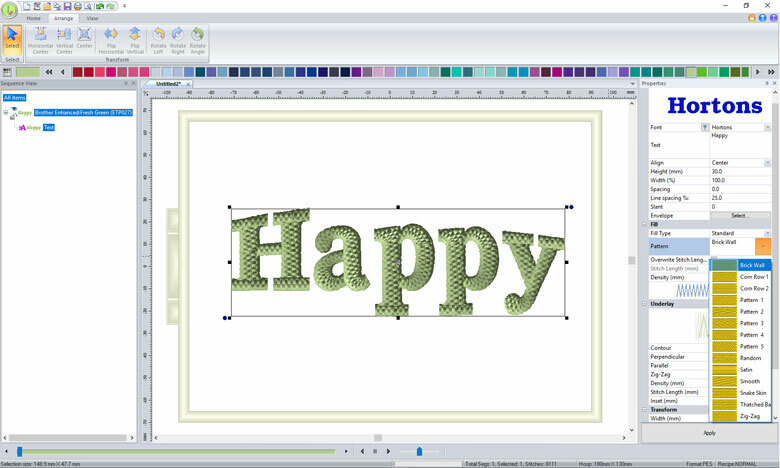 Customize the built-in lettering, monogramming & frames with 14 fill patterns. The built-in recipes guide you in adjusting stitch properties to suit your fabric and in selecting the right stabilizer type for your project. 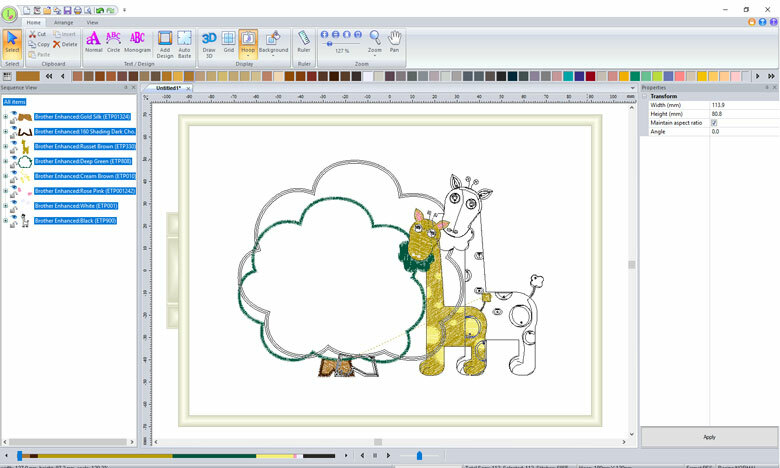 Preview your designs on a range of built-in background colors, or import an image of your own fabric to preview. 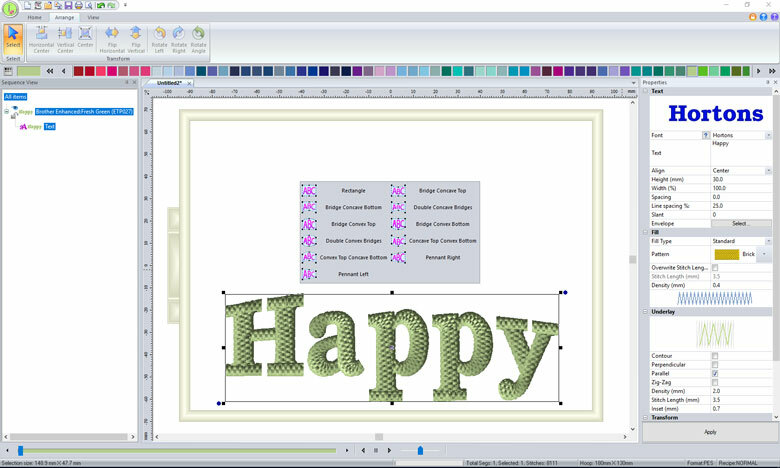 Choose from the built-in thread charts for many thread manufacturers, including the Brother Enhanced Thread Chart. 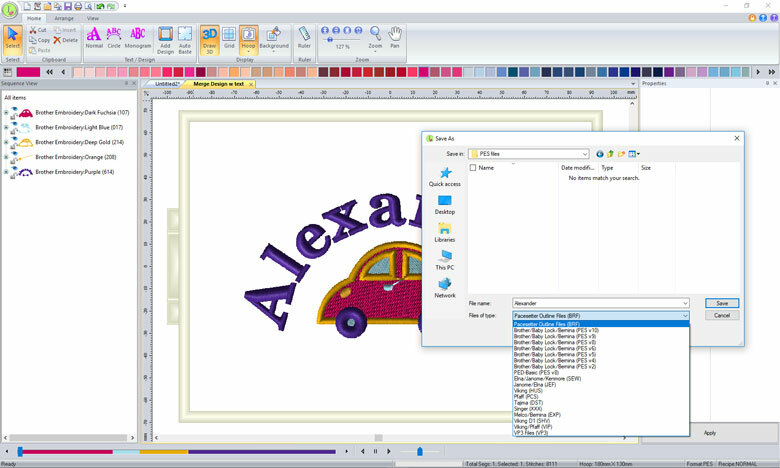 With the ability to save your design in a selection of embroidery design file formats*, Initial Stitch is compatible with most brands of home embroidery machines. 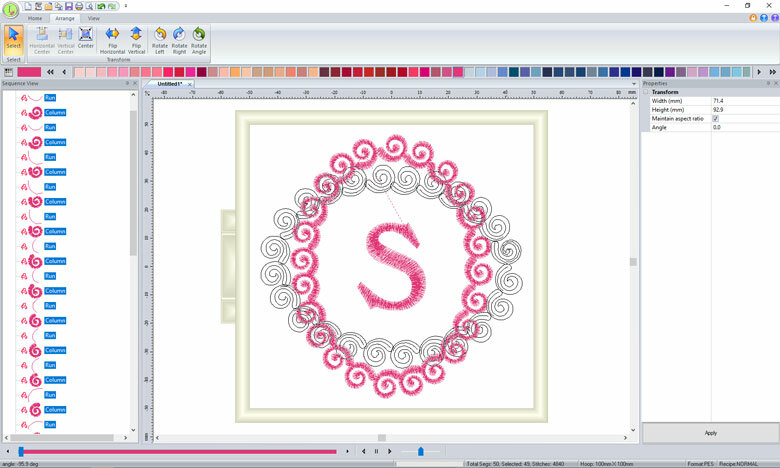 Initial Stitch software is available at mass retailers in a retail package that contains a prepaid download code. You will need to purchase this software package (SKU# SAINIT), and then download the software, instruction manual and installation guide from the ‘Download software’ link below onto your computer, to activate your software using the provided download code. Included in the Initial Stitch retail package: Software activation code and instructions on how to install and activate the software. Complete and submit the form below to download software. An internet connection is required to redeem the code and download the software, instruction manual and installation guide onto your computer.